Hey there! I'm popping in to the blog today to line up some cards to share that have been saved in Draft form for months. This card is a fresh and modern Valentine, and I delivered it and many others to Arts Plus Gallery this past weekend for sale. 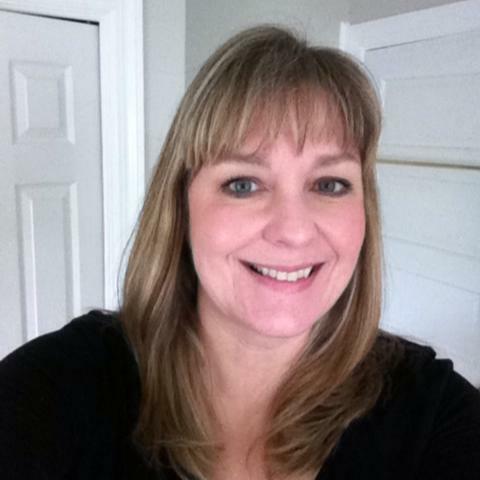 The background was created with Stampin' Up! 's Positively Chevron stamp, and A Happy Heart. The glittered hearts are chipboard pieces from maybe Target, circa 2011? 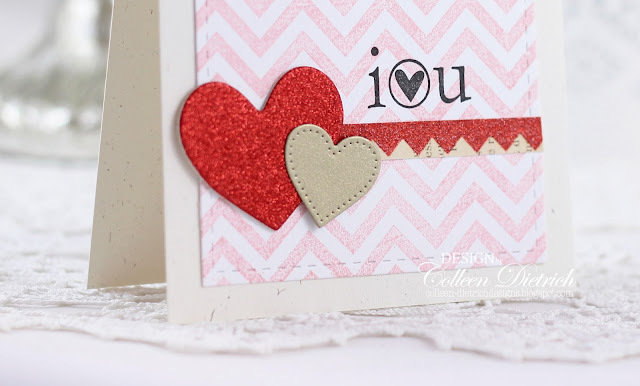 The small brushed gold heart was made with My Favorite Things heart dies. I'm still doing physical therapy for my back, and still working full time (but I have a standing desk now! So helpful!). It's a slow climb to get those herniated discs better, but I really don't want surgery as an option. I like the sparkle this is cute! Well, this was fun, Colleen! I'm glad to have a chance to see what you've been up to, and it's good to know you're still pursuing your craft. So many times I see people lose interest and it feels sad to me. This is a pretty little thing. 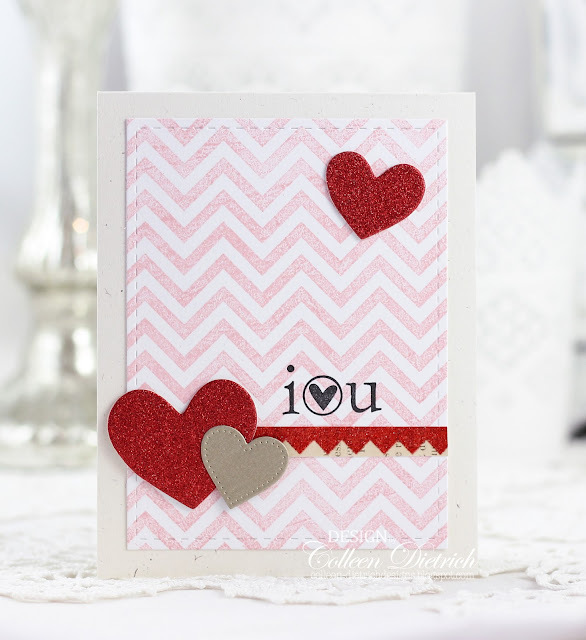 I love the chevron with the cute sentiment stamped right over top. 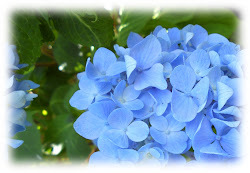 Healing wishes sent to you!